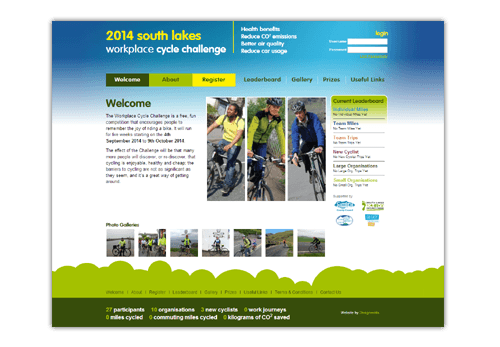 Designworks along with sustainable transport consultants Isobel Stoddart and Jo Cleary have been awarded the contract to run the South Lakes Workplace Cycle Challenge by South Lakeland District Council for 2014. The Challenge is open to everyone and participants can record leisure as well as commuting miles. It’s not all about distance; there are prizes for number of trips, most recommends, oldest team, youngest team plus lots more.